Senior Citizens, Inc.’s (SCI) Meals on Wheels program now has a new tool for recruiting volunteers thanks to Meals On Wheels America and Subaru. SCI is one of 5,000 local MOW programs across the country working every day to protect millions of seniors from the threats of isolation and hunger. This effort is made possible by the millions of volunteers who help in communities all across America. Recognizing that the expected rapid group in the number of seniors in our country will mean many more of us will be needed to meet the escalating need, Meals on Wheels America, with support from Subaru of America (SOA), is launching a new online tool called the Meals on Wheels Online Volunteer Drive. 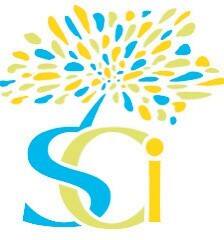 “I can honestly say that SCI could not have the reach it does with our meal programs without our tremendous volunteers,” said Patti Lyons, President of SCI. “It is probably one of the easiest ways to have the greatest impact in one hour that someone could experience. Through an initiative called Subaru Loves To Help, Subaru and Meals on Wheels America are working together to make it easier for anyone interested in volunteering with the local Meals on Wheels program to get connected with that program and its volunteer opportunities. SOA supported the creation of the first Meals on Wheels Online Volunteer Drive and, as a sign of their commitment to their communities and to making a positive impact on the world, SOA and local Subaru retailers will be spreading the word about the Drive and supporting local Meals on Wheels programs in a variety of other ways this June.